Passed 12th with a minimum of 50% aggregate with PCB as mandatory. SC /ST/OBC/Reserved-OPH:- Passed 12th with a minimum of 40% aggregate with PCB as mandatory. General OPH:- Passed 12th with a minimum of 45% aggregate with PCB as mandatory. Candidates must have completed 17 years before 31st December 2019 as per the JIPMER MBBS 2019 Age Limit criteria. Which means the candidate should be born on or before 1st Jan 2003. Candidates have to qualify 10+2 or equivalent examination from a recognized board. Candidate should pass the 10+2 examination with Physics, Chemistry, Biology/Biotechnology subjects. Candidates must secure at least 60% marks (General), 50% marks (OBC/SC/ST/OPH) & 45% marks (General OPH) in PCB subjects. Candidate has to be a citizen of India to be eligible for JIPMER MBBS 2019. NRI and OCI candidates are also eligible to apply for JIPMER MBBS 2019. Candidate should be 17 years old at time of admission or should be 17 years old on or before 31st December 2019 ( year of candidates admission into first year) which means should be born on or before 01/01/2003. If candidate does not meet minimum age criteria and requests for relaxation from prescribed age limit ( i.e. younger than 17 years old even after 31st December 2019) then it will not be considered for any category of applicant. Candidate must have passed Higher/ Senior Secondary Examination or the Indian School Certificate Examination which is equivalent to 10+2 Higher/ Senior Secondary Examination after a period of 12 years study, last two years of such study comprising Physics, Chemistry, Biology / Biotechnology (which shall include practical tests in these subjects) or any other elective with English at a level not less than core course for English as prescribed by the National Council of Educational Research and Training of 10+2+3 educational structure as recommended by National Committee on Education. Candidates who have cleared qualifying examination other than those recognized by JIPMER will have to submit Eligibility Certificate before admission is finalized. Candidate should obtain such an Eligibility Certificate from Association of Indian Universities, New Delhi, and is essential for OCI?NRI for admission to JIPMER M.B.B.S Course. Applicant must have passed in subjects of Physics, Chemistry, Biology/ Biotechnology, and English individually and must have obtained a minimum of 50% marks are taken together in Physics, Chemistry, Biology / Biotechnology at qualifying examination for general ( unreserved) / EW's category. PwD candidates in general category should have minimum marks of 45% in Physics, Chemistry, Biology / Biotechnology taken together in qualifying examination. Candidates belonging to Scheduled Castes / Scheduled Tribe or Other Backward Classes / PwD, minimum marks obtained in Physics, Chemistry, Biology/ Biotechnology taken together in qualifying examination should be 40%. Eligible students can apply for JIPMER MBBS 2019 Application Form and can follow the JIPMER MBBS 2019 Application Process. Candidate who fails to fulfil the prescribed minimum age limit (17 years) for admission. 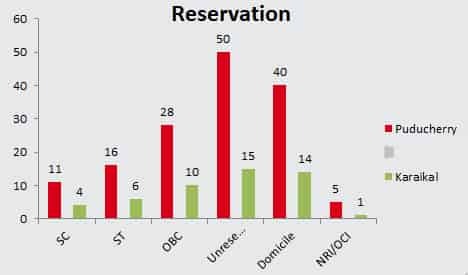 Candidates who have applied under Non-Creamy Layer OBC Category and where sub-caste NOT listed in current Central OBC List and whose certificate has NOT been submitted in prescribed format from Competent Authority. The candidate who have applied under Puducherry status with NO valid proof. Candidates must have completed 17 years before 31st December 2018 to be eligible for JIPMER MBBS 2018 Exam. Citizenship eligibility for JIPMER MBBS 2017. What if I'm not a citizen of India, and can I still Apply for the JIPMER MBBS exam 2017? Indian citizens are eligible to apply for the JIPMER MBBS entrance test. NRI and OCI applicants can also apply for the JIPMER MBBS exam. Eligibility for JIPMER MBBS 2017? What is the eligibility for JIPMER MBBS 2017? The Candidate should be an Indian national. The applicants should have completed 17 years of their age as on or before the 31st December of examination year. The applicants should have qualified the 10+2/Senior Secondary or its correspondent examination from a recognised board or university with Physics, Mathematics, Chemistry, Biology/Biotechnology and English as major subjects for JIPMER MBBS 2017. Educational Qualification for JIPMER MBBS 2017. The candidate should have passed 12th grade and 10th grade with subjects Biology, Physics, and Chemistry to be eligible for the JIPMER MBBS exam. The candidate should have secured minimum marks of 50% in PCB and overall to be eligible for the JIPMER MBBS exam. The SC and ST Applicants should have secured minimum marks of 40% in PCB and overall to be eligible for the JIPMER MBBS exam. General OPH candidates should have secured minimum marks of 45% in PCB and overall to be eligible for the JIPMER MBBS exam. The Candidates who have passed the qualifying examination other than those mentioned in the list will have to submit an Eligibility Certificate before admission is finalised. Obtaining this Eligibility Certificate from Association of Indian Universities, New Delhi is essential for OCI/NRI for admission to JIPMER M.B.B.S. Course. What is the education qualification required by an NRI to be eligible to write the JIPMER 2017 examination? The Candidates who have passed the qualifying examination other than those mentioned in the list will have to submit an Eligibility Certificate before admission is finalised. Obtaining this Eligibility Certificate from Association of Indian Universities, New Delhi is essential for OCI/NRI for admission to JIPMER M.B.B.S. Course. 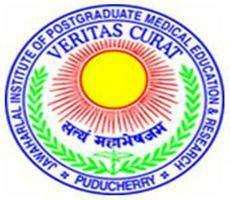 Can NRI apply for JIPMER MBBS? Yes, NRI can apply for JIPMER MBBS Exam.